Bibble & Sip | Do. Be. Interesting. As I’m typing this, I’m trying to think of a nicer way to say this, but nothing else seems to adequately convey the picture of how Starbucks owns every corner of Manhattan, and how surprisingly difficult it is to find a quality local espresso that doesn’t have that smell of megacorporation. So by the time we dragged our caffeine-starved carcasses into Bibble & Sip, we were about ready to give up on Manhattan. I ordered my 8-ounce mocha breve, expecting to have to explain the whole thing as usual. They even went down into the basement and got some unsweetened cocoa powder for Kailey. We absolutely love this place and went out of our way to come back to these smiling faces every day. 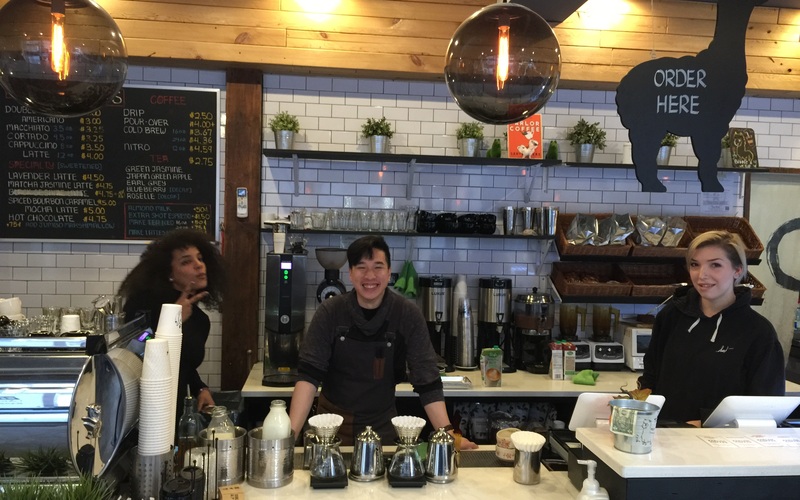 If you appreciate a quality local espresso café, this is a dying breed in Manhattan. Either way, get in here and well, bibble & sip! Next articleA day or five in Manhattan.